IYBS, you ask? Incredibly yummy brussel sprouts! Aptly named by my family due to their quick steam and then sauté in some butter, sugar, and sherry. I got these at the farmers’ market on Saturday and when I handed over my bag, the cashier said $8.00! Guess I should have asked what the price was first. 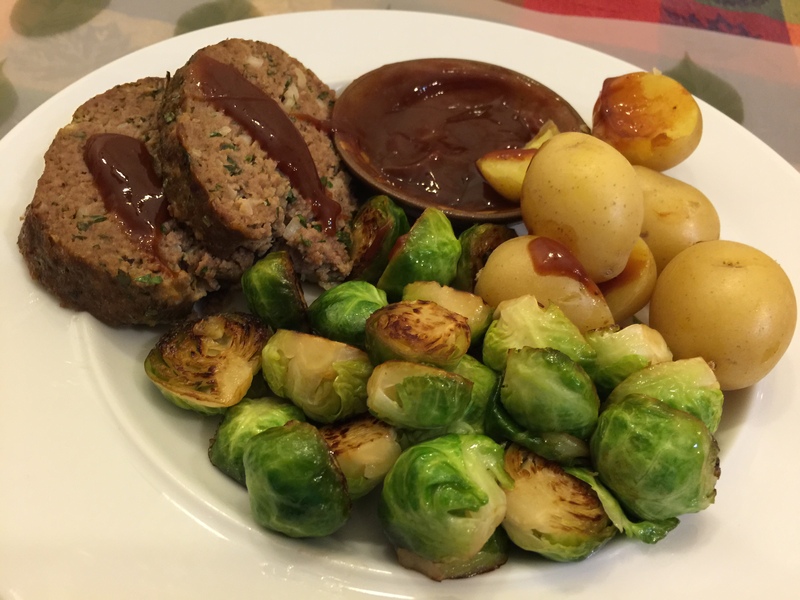 Best thing about meatloaf? Meatloaf sandwiches the next day on white bread with ketchup! P.S. My menu has been revamped with Chinese take-out moved to Friday. 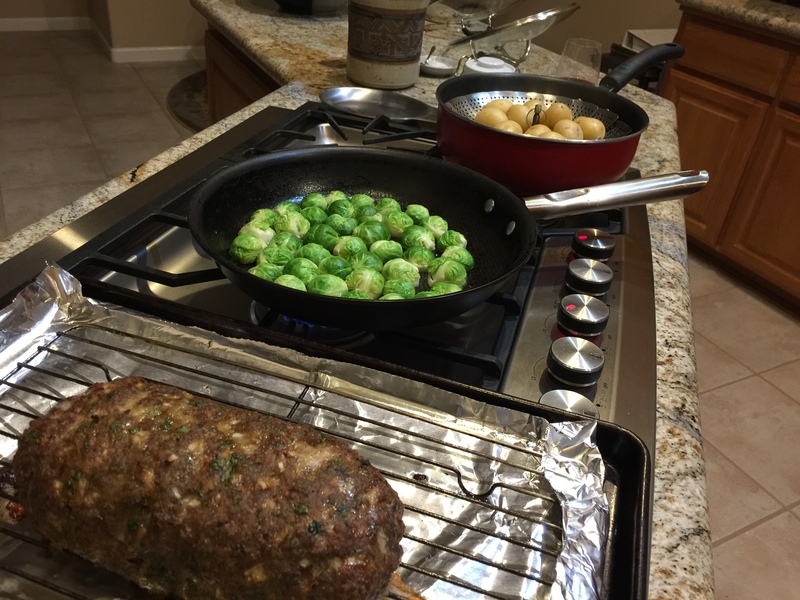 This entry was posted in Beef, Vegetables and tagged brussel sprouts, ground beef, meatloaf, new potatoes. Bookmark the permalink.